The Tolplas recreation park has a large choice of accommodations. There are comfortable chalets for 4 and 6 person in a standard and a wellness version (with infrared sauna and steam cabin). There are bungalows for 2 and 4 persons and a luxury 6 person variation. The latter has a sauna, skylight and steam cabin. 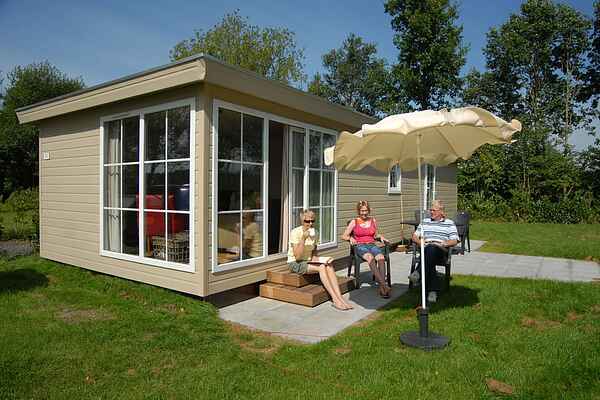 There is also a butterfly type bungalow (with or without conservatory) in a 4, 6 and 8 person size. A detached 4 person luxury chalet with sauna, steam cabin and air conditioning completes the collection of the smaller types. Then there are the cheery group accommodations for 12, 14 and 18 persons, varying in living area from 220 to 310 m2. All group houses have a sauna and a jacuzzi. The lower level of the 14 person type is also accessible for disabled persons. All houses have a garden with terrace and garden furniture.